Danika Desai. Managing Editor, UCLA Journal of Environmental Law & Policy. California is called the golden state, named for the gold trapped in the Sierra Nevada mountains that drew desperate men like flies. Later, when the dream of easy wealth dried up, those same men moved to California’s Central Valley and planted wheat—acres and acres of it; a different kind of gold. It turned out that California’s true wealth was in its soils, not in its precious metals. How do those soils fare today? Agricultural production has long served as a proxy for soil health, but it is an inaccurate proxy. Because top soil takes hundreds of years to form, and erodes faster than the lifespan of civilizations but slower than the human lifespan, it is not the most immediate limiting factor upon agriculture nor the most visible. This is especially true in California, where a fluctuating water supply dictates what and how much farmers can grow. Moreover, California’s agriculture still flourishes, at least superficially. California remains the leading agricultural production state in the nation in terms of both value and crop diversity. The counties within the San Joaquin Valley produce more food than any other comparably sized region in the world. No other state, or combination of states, matches California’s productivity per hectare. Stunning achievements all, but the continuing productivity of California’s agricultural sector has more to do with the Green Revolution’s miraculous technological trifecta: chemical fertilizers, pesticides, and controlled water supply than with the health of the State’s soils. Indeed, California’s soils face many challenges. Soil erosion detrimentally affects some 8.8 million acres in California. Nitrogen fertilizer, the tech-fix to boost crop productivity and grow food in unhealthy soils, creates excess nitrogen in the soil, which leaches into the State’s waters, polluting them. About 419,000 tons of nitrogen leach into California’s groundwater each year, 88% of it from agricultural sources. Most of that nitrogen accumulates there, and will remain there for millennia. The nitrogen problem, like most problems, affects poor people first. Groundwater in Tulare Lake Basin and Salinas Valley regularly exceeds state and federal standards for nitrate levels in drinking water. The roughly 200,000 people who depend on that water are therefore highly susceptible to nitrate exposure from their drinking water. The most serious challenge that California’s soils face, at least from an agricultural perspective, is salinization. More than half of California’s irrigated cropland is affected by salinization; the Imperial Valley and the Western San Joaquin Valley are the most impacted regions. A study from the University of California, Davis found that if salinization continues at its current rate until 2030, it could cost the State between 1 and 1.5 billion dollars. In the San Joaquin Valley, more than 80,000 hectares of irrigated lands have been retired from agriculture, partly to reduce the load of selenium reaching the San Joaquin River and other waterways. Farmers, the California government, academics, even the informed citizenry are not unaware of these challenges. But most of the proffered solutions revolve around water. In fact, almost all state-based attempts to address soil degradation rely on water quality standards, rather than soil protective measures. While there is a close nexus between water and soil, not all soil degradation can be solved through water standards. Recently, however, there has been a renewed interest in soil health, as demonstrated by the California Healthy Soils Initiative, passed by the California Legislature in 2016. This paper examines the Healthy Soils Initiative within the larger context of soil conservation programs on the state and federal level. Although the Healthy Soils Initiative is an exciting step forward within the realm of soil conservation, soil, as the long-neglected environmental resource, deserves more; a comprehensive soil management program is necessary to truly realize the potential of healthy soils in California. The National Resources Conservation Service (NRCS) defines soil health as “the continued capacity of soil to function as a vital living ecosystem that sustains plants, animals, and humans.” Attributes of healthy soils include a diverse population of beneficial organisms, high levels of decomposed organic matter, low levels of toxic compounds, adequate (rather than excessive) levels of nutrients, a sufficiently porous surface, and good tilth. The benefits of healthy soils are manifold; proper soil management has the potential not only to mitigate all the challenges described in the previous section, but also to mitigate seemingly unrelated environmental problems. Healthy soils reduce nutrient leaching; more nutrients are recycled and can be used by crops again. This means that less nitrogen makes its way into groundwater and other waterways, preventing water pollution. Healthy soil holds more water and releases less water to evaporation. Thus, fields would not have to be over-irrigated, a major cause of salinization, and would also be more resilient to drought conditions, an important quality in drought-prone California. Healthy soils also improve plant health and yields, have the potential to sequester and reduce greenhouse gases, reduces sediment erosion and dust, improve water and air quality, and can promote biodiversity and provide wildlife benefits. Most of the soil management programs in the United States were born out of the Dust Bowl, which was set in the context of the Great Depression. Even today, vestiges from that era mark the way the US thinks about soil. For one, unlike air and water, soil does not have its own sweeping protective statute. There are several reasons for this including the fact that soil’s crisis moment occurred in the 1930s rather than the 1960s, at a time when federal power was not yet fully centralized. In addition, soil erosion is mostly invisible to the public, soil is often privately owned unlike air and water; soil degradation is incremental and therefore invisible, and it can be compensated in the short term with increasing applications of commercial fertilizer. Furthermore, soil management techniques are considered land-use decisions, which are normally regulated at the local level, rather than at the state or federal level. All of these factors are challenges for implementing soil management practices today, and posed bigger obstacles in the 1930s, when large-scale soil management programs were just beginning. Even though the Dust Bowl was perhaps the largest environmental catastrophe the US had experienced, it was partially overshadowed by the concurrent catastrophe of the Great Depression. Then President Franklin Delano Roosevelt saw soil conservation programs as a politically acceptable way to provide much needed economic relief to farmers. Thus soil conservation programs have always had a dual and sometimes contradictory purpose: to conserve soil and to subsidize farmers, with the stronger emphasis on increasing farm income and improving crop productivity. The early soil conservation programs were not designed to decrease soil erosion as much as possible per dollar, and until the 1980s, subsidies were not linked at all to conservation practices. Still, though imperfect, the soil management infrastructure that was instituted then, is the framework for the soil management programs that exists today. The Soil Conservation Act of 1935 established the Soil Conservation Service (SCS), which made funding available to farmers who implemented conservation practices on their land. These conservation practices included crop rotation, cultivation on contours, seeding grass waterways, creating windbreaks, and the use of pastures. Farmers were also paid to retire old farmland. The new SCS also encouraged soil conservation districts to organize landowners to tackle soil conservation democratically on the local level, and established demonstration projects to exemplify and encourage conservation practices. This led to the formation of Soil Conservation Districts—now called conservation districts—3,000 of which still exist today. In 1994, the SCS became the Natural Resources Conservation Service (NRCS) of the United States Department of Agriculture, and it still provides funding to farmers who implement conservation practices on their land. In fact, many of the conservation measures eligible for funding also remain the same. Currently, the NRCS administers two main programs to combat soil degradation: the swampbuster and sodbuster programs, which condition farm bill subsidies on the implementation of certain conservation practices on land if that land is either highly erodible or wetlands. Although the DRC has been eliminated, the Soil Conservation Districts within California (now called Resource Conservation Districts or “RCDs”) are still active. The RCDs have four main goals: to control runoff, to prevent erosion, to build developments for the redistribution of water, and to improve land capabilities. Originally RCDs were supposed to be guided by the DRC. Now that the DRC no longer exists, RCDs have no official governmental overseer. Rather, they have formed the California Association of Resource Conservation Districts. The power of RCDs was greatly curtailed with the passage of Prop 13, which placed restrictions on property taxation. Today, the DLRP, the hereditary organization of the DRC, is responsible for administering the Agricultural Land Mitigation Program, the Sustainable Agricultural Lands Conservation Program, the California Farmland Conservancy Program, the Williamson Act, and the Farmland Mapping and Monitoring Program. The DLRP also provides technical assistance and grants to the RCDs. Aside from the RCDs most of these programs do not address soil directly, but rather provide easements, either agricultural or conservation easements, so that land is not converted into a more intensive use such as urban and residential use, or used for resource extraction. The California Department of Food and Agriculture (CDFA) also provides some soil management programs. In 1995, the California Legislature passed the Cannella Environmental Farming Act. The Act, codified in The California Food and Agriculture Code §§ 560-568, required the CDFA to “shall establish and oversee an environmental farming program. The program shall provide incentives to farmers whose practices promote the well-being of ecosystems, air quality, and wildlife and their habitat.” The Act also created the Scientific Advisory Panel on Environmental Farming to “advice and assist, federal, state, and local government on issues relating to air, water, and wildlife habitat” in the context of agriculture. Today the CFDA’s Office of Environmental Planning and Innovation, coordination with the Scientific Advisory Panel, oversees five programs: The Dairy Digester Research and Development Program, the State Water Efficiency Enhancement Program, the Office of Pesticide Consultation and Analysis, the Alternative Manure Management Practices, and most recently, the Healthy Soils Initiative Program. The Healthy Soils Initiative (hereinafter “Initiative”) is a “is a collaboration of state agencies and departments, led by the California Department of Food and Agriculture, to promote the development of healthy soils.” The program has five main goals: to protect and restore soil organic matter in California’s soils; to identify sustainable and integrated financing opportunities to facilitate healthy soils; to provide for research, education and technical support to facilitate healthy soils; to increase governmental efficiencies to enhance soil health on public and private lands; and to promote interagency coordination and collaboration to support soils and related state goals. Also, like early soil conservation programs, the Initiative is dedicating 40% of its overall funding, 3 million dollars, to demonstration projects. Unlike the subsidies for general good soil management practices, the demonstration projects are more closely aimed at carbon sequestration. The demonstration project must “incorporate farm management practices that result in greenhouse gas benefits across all farming types with the intent to establish or promote healthy soils.” The objective of the demonstration projects is to “demonstrate to the farmers and ranchers in California Agriculture that specific management practices sequester carbon, improve soil health and reduce atmospheric greenhouse gases.” Although the soil health requirement is still incorporated into the demonstration project, the main goal seems to be successful carbon sequestration. Like the early soil conservation programs, then, the Initiative also has a dual purpose: mitigating climate change and promoting soil health. However, the Initiative also departs from previous soil conservation programs in one respect: the Initiative recognizes soil as an ecosystem and attempts to manage it that way. 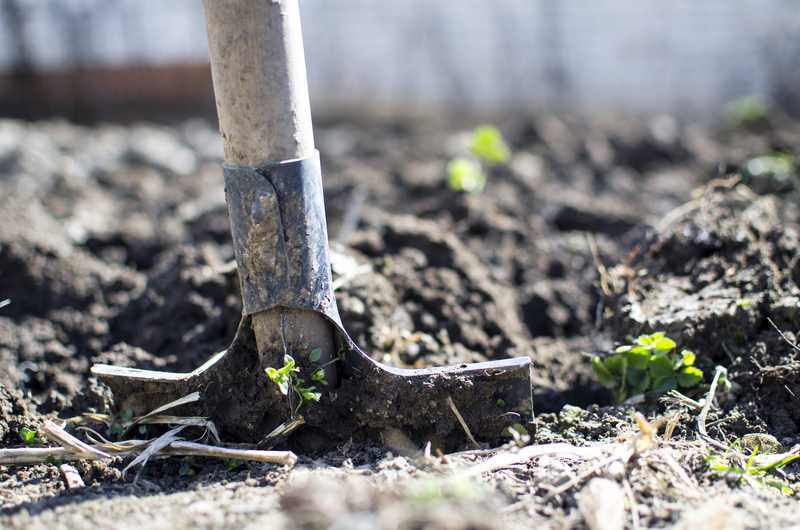 The Healthy Soils Action Plan states “[h]ealth of agricultural soil relates to its ability to build and retain adequate soil organic matter via the activity of plants and soil organisms. Adequate soil organic matter ensures the soil’s continued capacity to function as a vital living ecosystem with multiple benefits that sustains and produces food for plants, animals, and humans.” This is an exciting step forward. One of the major critiques of previous soil conservation programs is that they “address soil quality in an after-the-fact manner, much as the first generation of air and water pollution laws focused on end-of-the-pipe pollution…Today, soil programs in the United States address erosion and contamination, but not nutrient loss and other fundamentals essential to sustainable soils. A new law inspired by an awareness of the ecological dimensions of soil policy would recognize the major role that healthy soils play.” The Initiative does recognize this ecological dimension of soils, stating that soils can improve plant health and yields, increase water infiltration and retention, sequester and reduce greenhouse gases, reduce sediment erosion and dust, improve water and air quality, and improve biological diversity and wildlife habitat. Consequently, the Initiative is a holistic approach to soil management, and has the potential to actually promote the production of healthy soils rather than solving just one isolated consequence (such as nutrient leaching) of unhealthy soils. Moreover, unlike the soil conservation programs arising out of the Dust Bowl, the Initiative is not a welfare program in disguise. Instead, the primary goals of the Initiative are environmental, not economic: “The objective of this new Healthy Soils Program is to build soil carbon and reduce agricultural greenhouse gas (GHG) emissions.” Governor Brown emphasized this goal again in his 2015-2016 proposed budget, stating, “as the leading agricultural state in the nation, it is important for California’s soils to be sustainable and resilient to climate change.” While sustainability has long been recognized as a need in US soil conservation programs (that is the whole point of reducing erosion), resilience implies an added dimension—it is not just ensuring that top soil exists for future generations, but that the quality of that soil is healthy and thriving in all its component parts. The Initiative faces a few obstacles in reaching its goal of achieving healthy soil in California. First, although the Initiative is not a welfare program in disguise, like the early soil conservation programs, it too has a dual purpose: climate change mitigation and the promotion of healthy soils. While the Initiative itself makes much of the fact that these two goals align, this is not always the case. Second, and relatedly, the Initiative has limited funding—and that funding comes from the climate change fund, meaning it is in jeopardy if the program fails to help farmers and ranchers actually sequester carbon. Third, the Initiative’s success relies on the implementation at the local level, something that requires coordination with local agencies and existing organizations that provide technical assistance to California’s agricultural producers. This coordination, especially with the RCDs, could be strengthened. As stated above, the Initiative has a dual purpose: to mitigate climate change and to promote healthy soils. Indeed, one of the main flaws of the federal soil conservation programs was the confusion of its purpose: soil erosion control or farmer welfare, which allowed the goal of increasing farm productivity and sustaining the financial stability of farmers to overtake the soil conservation goals. Here, there is the possibility of the same. While healthy soils have a range of positive benefits, carbon sequestration is not always one of them. For example, one indicator of healthy soils is the amount of organic matter the soil contains (i.e. the carbon content of the soil), and this has been touted as a climate change mitigation measure. However, while the addition of manure or crop residues to the soil is “an excellent means of improving soil physical, chemical, and biological conditions…it does not represent a transfer of [carbon] from atmosphere to soil.” Instead, it can serve to move carbon from one soil to another, with no effect on atmospheric carbon. Thus increasing the carbon content of soils has a climate change mitigation effect when that carbon would have otherwise been burned, but not if that carbon was going to return to the soil anyway. In particular, carbon additions to grasslands (such as the application of compost to grasslands) will have almost no climate mitigation effect because there is very little contact between the manure and the grassland soils, so most of the carbon just returns to the atmosphere. Other practices, like no-till agriculture, which reduces the disturbance of surface soils and therefore more permanently stores carbon in the soil, may also not mitigate climate change in the long run because no-till sometimes increase nitrous oxide emissions from the soil, which is also a greenhouse gas. Despite the questionable nature of these practices as climate change mitigation measures, the Initiative includes both (compost application to grasslands and no-till agriculture) as subsidized soil management practices. Conversely, sometimes a practice might actually be good for mitigating climate change but bad for soil health. For example, burning straw rather than using it as mulch could mitigate climate change if it is used to replace fossil fuels as an energy source. However, this would also decrease soil quality, as it removes carbon that would otherwise return to the soil, and releases it into the atmosphere. The actual sequestration of carbon in soils “would require major changes in cropping systems or significant research.” These practices include the use of agroforestry and intercropping, which increases the rate of input of organic matter to soils, using perennials in place of annual crops because perennials store more carbon than annuals, and breeding crops to have longer and deeper roots so that they can exude carbon into subsoils for more permanent storage. However, currently these practices are not among those that the Initiative will subsidize. Thus it is clear that some soil management practices improve both soil health and mitigate climate change (agroforestry, intercropping, the use of perennials, the use of plants with deep roots), some soil management practices improve soils but do not mitigate climate change (no-till), some practices mitigate climate change but are detrimental to soil health (burning straw), and some soil management practices do neither (compost application to grasslands). The Initiative will have to resolve these sometimes contradictory practices, and prioritize certain goals over others. Moreover, although the point of the Initiative may not be economic relief to farmers, crop productivity still features as a goal for the demonstration projects funded by the Initiative. If carbon sequestration and soil health sometimes require different practices, it will be even more challenging to discover practices that not only sequester carbon and build healthy soils, but also improve crop yields. Indeed, the application of Nitrogen fertilizer, which is perhaps the single biggest contributor to the increase in yields following the Green Revolution, has a documented negative effect on carbon sequestration in soils because it decreases the soil microbial community and prevents plants from growing longer and deeper roots—both of which increase the soil’s potential to store carbon. Another challenge the Initiative must grapple with is the available funding. Successful incentive and educational programs are highly dependent on funding. The CDFA has appropriated 7.5 million dollars for the Healthy Soils Program. Given the scope of the challenges facing California’s soils, this amount of money is not that much. For example, the USDA-NRCS has a fund of 19 million dollars to combat criteria air pollution from agricultural sources in the San Joaquin Valley alone, a problem that could also be mitigated through the development of healthy soils. In addition, the Initiative is funded through the Greenhouse Gas Reduction Fund. As discussed above, not all the practices embraced by the Initiative actually reduce greenhouse gasses. Moreover, the demonstration projects, which are supposed to “increase on-farm carbon sequestration, greenhouse gas reductions, increase water holding capacity and increase crop yields” are funded for three years. The last of the three years funded partially by the demonstration project itself and partially by the Initiative. Since changes in the carbon content of soil occur slowly, it is unclear that a three-year demonstration project will actually yield relevant results. If, for example, the Initiative succeeds in improving soil quality but fails at mitigating climate change, will the program be deemed a success or a failure? Healthy soils have huge environmental benefits regardless of whether they also mitigate climate change or increase crop yields. Mixing multiple goals dilutes the Initiative’s effectiveness at protecting soil. c) The Initiative’s Collaboration with Existing Programs and Organizations. American soil management is internationally recognized as successful, in large part because of farmer participation at the local level. One key player in the local implementation of soil conservation practices in California are the RCDs. However, the Initiative is not using the RCDs to their fullest potential. In a comment letter on the Healthy Soils Program, the California Association of Resource Conservation Districts encouraged the Initiative to work with the RCDs, noting that “[c]ollaboration with existing NRCS and RCD programs and funding will be vital in order to ensure the practical applicability and longevity of [the Initiative],” and emphasizing that the RCDs’ rapport with landowners and communities are necessary to successfully implement new management practices. Likewise in another comment letter to the CDFA about the Initiative, the Center of Carbon Removal noted that the role of non-profits and NGOs to assist and coordinate with agricultural producers was not well-established in the Initiative: “avenues for non-profit and non-governmental actors to assist and coordinate with agriculturalists are not well established…Clarification on the avenues for nonprofit or academic partnership… offer an opportunity to increase the involvement of non-agriculturalists and ensure long term success of pilot projects.” In addition, certain parts of the state have poor access to RCDs. The San Joaquin Valley, one of the regions most impacted by agricultural pollution and a region where very few farmers use conservation practices, has only one RCD for the entire Fresno County. Since RCDs are key in providing technical assistance to agricultural producers, certain areas of the state (and perhaps the portions most in need of assistance) may not have the same kind of access to the resources that the Initiative provides. This lack of coordination with local organizations is a symptom of a decentralized, bottom-up approach to tackling an environmental problem. With no single oversight organization addressing soil pollution, it is difficult to locate the organizations that have expertise, identify the areas in California most in need of help, and coordinate between different government-funded programs. This will make it difficult for the Initiative to fully deploy all the resources at its disposal in the most efficient way possible. This challenge is not new to soil regulation—soil conservation programs, largely because of the lack of a protective statute—has led to a “fragmented…program formed by laws enacted in a piecemeal fashion without forethought as to how activities interacted.” The Initiative, in a certain sense, is another piecemeal attempt to address a systematic and pervasive problem—but one that diverges from previous efforts by recognizing soil as an ecosystem rather than an inert resource. Currently, the way that states regulated soil, in the absence of a comprehensive statute, is through water laws. The Clean Water Act can be used to reduce nutrient run-off into waterways. If a waterbody is impaired, states can set Water Quality Standards that limit the amount of nutrients allowed in the water. The EPA even encourages states to use trading programs to encourage sources to leach fewer nutrients into waterways. California currently has one of the most aggressive programs to curb erosion and sedimentation into rivers by strongly regulating forestry practices. However, these controls only limit certain problems associated with soil degradation, like nutrient leaching or erosion into waterways. They cannot address the multifaceted challenges affecting soil health. In addition, water regulatory bodies do not always feel that soil regulation is within their statutory mandate. For example, in 2016, the California Department of Water Resources and the State Water Resources Control Board received comments when implementing Executive Order B-37-16 to increase water conservation in the State. The Order required certain agricultural producers to develop An Agricultural Water Management Plan and use Efficient Water Management Practices. Several organizations suggested that one Efficient Water Management Practice should be to develop healthy soils, as healthy soils retain more water content and require less irrigation. However, this recommendation was not adopted. Evidently, soil health was outside the purview of the water regulatory agencies. Scholars also have suggested using water quality as a means of protecting soil. In Achieving Sustainable Irrigation Requires Effective Management of Salts, Soil Salinity, and Shallow Groundwater, Wichelns and Qadir suggest that requiring farmers to pay a deposit related to the salt in their irrigation water would encourage farmers to utilize salt management programs on their farms. A farmer would have to pay the government an amount of money based on the load of salt he/she applied to the land. The amount would be determined by a governmental agency and would vary depending on how much salt was present in the water during a certain season. Trading programs or pricing nutrient leakage are both good ideas, but both treat isolated consequences of unhealthy soils rather than attempting to promote healthy soils. In other words, these kinds of trading systems are still fragmented—they can be used to mitigate nutrient leaching and salinization, two effects of unhealthy soils, but they cannot solve other aspects of soil degradation such as lackluster microbial communities, compaction, or decreased carbon content. For that, a comprehensive soil management program is necessary. Although the Healthy Soils Initiative is an exciting step toward realizing the potential benefits of soil in California, it is not enough to realize healthy soils in by itself. Additional solutions are necessary, and ultimately, a comprehensive soil conservation program is necessary to manage soil in a way that promotes and sustains the integrity of soil quality in the state. Currently, soil is managed through a collection of programs and fragmented environmental laws. But soil deserves to be treated like the invaluable resource that it is. A comprehensive soil management program would have what other resources like air and water have, namely: an agency dedicated to soil management and a statute protecting a baseline of soil quality. Like the other major resources, soil should not have to depend only upon voluntary and incentive-based measures. Rather, like both water and air, there should be a mix of incentive and regulatory mechanisms to protect soil as a resource. Moreover, soil should be protected for its own sake—not as a means to increase crop productivity or as a means to sequester carbon, even though both those goals are important. In California, air has the Air Resource Board and water has the State Water Resources Control Board, both administered by the California Environmental Protection Agency. Soil deserves a similar agency. This could be accomplished simply by resurrecting the Division of Resource Conservation, formerly in charge of the RCDs, and “administratively abolished” in the 1970s. The defunct DRC already had a mandate to “consider the whole problem of soil conservation within the state, and…formulate, in cooperation with other state agencies, interested organizations, and citizens, a comprehensive resource conservation policy for the state.” This mandate could be updated to incorporate some of the ecosystem approaches described in the Healthy Soils Initiative. Currently, however, no organization or person is carrying out that mandate, even though a comprehensive soil plan is exactly what is needed to actually realize healthy soils in California. This should be all the easier given the statutory framework already exists under California law. If reinstating the DRC is too complicated, the Association of Resource Conservation Districts could be charged with creating the state-wide plan for soil conservation and management instead. However, the Association would have to be funded appropriately and have a head appointed by the California Department of Conservation, in order to have unified leadership. Whatever the implementing body, an integrated vision for the fate of California soils is necessary to avoid the piecemealed, gap-filled, inadequate soil protections that exist today. Some scholars have suggested that in order to adequately protect soil as a natural resource, a statute designed to protect soil is necessary. In Farms, Their Environmental Harms, and Law, J.B. Ruhl suggests that while direct regulation may not be the best method for controlling most farm-related pollution (including soil erosion and nutrient leaching), regulatory approaches would be appropriate for the largest farms, that operate more like factories than traditional farms. A soil protection statute could directly regulate these largest agricultural polluters without creating an impossible administrative burden by attempting to capture every farm in the state. Although both these suggestions were targeted at federal level rather than a state level, the current political reality makes new federal environmental legislation impossible. Meanwhile, California remains a leader in environmental issues not only in the United States, but around the world. California could be the first state to introduce comprehensive soil legislation, simultaneously bringing large farms into the environmental regulatory fold and achieving a holistic environmental regulatory program that protects more facets of the natural world. We breathe air. We drink water. And we eat food, grown in soil. Yet soil regulation has fallen far behind other environmental protections in the United States. This is all the more surprising given that soil degradation may well be the oldest and most enduring environmental problem, plaguing ancient civilizations in the Middle East, Greece, Rome, and beyond. One can, after all, measure the lifespan of a civilization by how fast that civilization erodes its topsoil. While the Healthy Soils Initiative is an exciting step forward, recognizing that soils are an ecosystem within themselves, and must be managed as such, a comprehensive soil management scheme is necessary to ensure true soil health in the state. In order to accomplish this, California should give soil its due: provide it with a statute of its own and an agency to administer that statute. Alan L. Olmstead and Paul W. Rhode, Evolution of California Agriculture 1850-2000, UNIVERSITY OF CALIFORNIA GIANNINI FOUNDATION OF AGRICULTURAL ECONOMICS DIVISION OF AGRICULTURE AND NATURAL RESOURCES 1, 2 (2003), https://s.giannini.ucop.edu/uploads/giannini_public/4e/a8/4ea8b9cc-df88-4146-b1ae-e5467736e104/escholarship_uc_item_9145n8m1.pdf. For an example of how perfect California soils were for agriculture see George West, San Joaquin County Biographies, in A HISTORY OF THE SAN JOAQUINE VALLEY 526 (J.S. Slater ed., 1890) (stating “…the deep stratum of heavy, marly, sub-soil, overlaid by rich, black loam, with surface water enough to maintain a moist condition of the sub-soil without saturation—the vegetation being influenced by the warm summers of the San Joaquin Valley, tempered at that point by the inward flow of moist air which follows tide water to Stockton….Perfect maturity of large crops is attained…under these conditions, and the composition of the soil insures the qualities sought by connoisseurs”). David Montgomery, Soil erosion and Agricultural Sustainability, PROCEEDINGS OF THE NATIONAL ACADEMY OF SCIENCES OF THE UNITED STATES OF AMERICA 13268, 13270 (2008). D.S. Powlson et al., Soil Management in Relation to Sustainable Agriculture and Ecosystem Services, 36 FOOD POLICY S72, S74 (2010). CALIFORNIA DEPARTMENT OF FOOD AND AGRICULTURE, https://www.cdfa.ca.gov/Statistics/, (last visited May 9, 2017). Environmental Farming Act Science Advisory Panel: Biannual Report, CDFA 1, 28 (2013) https://www.cdfa.ca.gov/oefi/efasap/docs/Science_Panel_Report.pdf. W.E. Rees, North American Soils and World Food, in INTERNATIONAL YEARBOOK OF SOIL LAW 2016 1, 26 (Herald Ginzky et al eds., 2016). See B.H. Farmer, Perspectives on the ‘Green Revolution’ in South Asia, 20 MODERN ASIAN STUDIES 175, https://doi.org/10.1017/S0026749X00013627 (1986) (describing technologies of the Green Revolution). Ralph Grossi et al., California’s Shrinking Farmland, CALIFORNIA DEPARTMENT OF WATER RESOURCES, Bulletin 22, http://ucce.ucdavis.edu/files/repositoryfiles/ca4107p22-63026.pdf. The California Nitrogen Assessment: Challenges and Solutions for People, Agriculture, and the Environment, UNIVERSITY OF CALIFORNIA AGRICULTURE AND NATURAL RESOURCES 1, 7. (Thomas P. Tomich, ed.) http://asi.ucdavis.edu/programs/sarep/research-initiatives/are/nutrient-mgmt/california-nitrogen-assessment/ExecutiveSummaryLayout_FINAL_reduced.pdf. Salinity in the Central Valley: A Critical Problem, WATER EDUCATION FOUNDATION, http://www.watereducation.org/post/salinity-central-valley-critical-problem, (last visited May 9, 2017). Dennis Wilchelns and Manzoor Qadir, Achieving Sustainable Irrigation Requires Effective Management of Salts, Soil Salinity, and Shallow Groundwater, 157 AGRICULTURE WATER MANAGEMENT 31, 35 (2015). J. William Futrell, The IUCN Sustainable Soil Project and Enforcement Failures, 24 PACE ENV. L. R. 99, 110 (2007). NATURAL RESOURCES CONSERVATION SERVICE: SOILS, https://www.nrcs.usda.gov/wps/portal/nrcs/main/soils/health/, (last visited May 9, 2017). SUSTAINABLE AGRICULTURE RESEARCH & EDUCATION, Qualities of a Healthy Soil, http://www.sare.org/Learning-Center/Books/Manage-Insects-on-Your-Farm/Text-Version/Managing-Soils-to-Minimize-Crop-Pests/Qualities-of-a-Healthy-Soil, (last visited May 9, 2017). Bobby Bell and Brenda Platt, Building Healthy Soils with Compost to Protect Watersheds, THE INSTITUTE FOR LOCAL SELF-RELIANCE 1, 7 (2013) http://ilsr.org/wp-content/uploads/2013/05/Compost-Builds-Healthy-Soils-ILSR-5-08-13-2.pdf. NATIONAL RESOURCES CONSERVATION SERVICE, Soil Health: Key Points, (2013) https://www.nrcs.usda.gov/Internet/FSE_DOCUMENTS/stelprdb1082147.pdf. NATIONAL RESOURCES CONSERVATION SERVICE, Soil Quality Resource Concerns: Salinization (1998) https://www.nrcs.usda.gov/Internet/FSE_DOCUMENTS/nrcs142p2_053151.pdf. CALIFORNIA DEPARTMENT OF AGRICULTURE, Healthy Soils Initiative, https://www.cdfa.ca.gov/oefi/healthysoils/HSInitiative.html (last visited May 9, 2017). John H. Davidson, Factory Fields: Agricultural Practices, Polluted Water and Hypoxic Oceans, 9 GREAT PLAINS NAT. RESOURCES J. 1, 17 (2004). Sandra S. Batie, Soil Conservation in the 1980s: A Historical Perspective, 59 AGRICULTURAL HISTORY 107, 110 (1985). Zachary Cain and Stephen Lovejoy, History and Outlook for Farm Bill Conservation Programs, CHOICES (May 9, 2017), http://www.choicesmagazine.org/2004-4/policy/2004-4-09.htm. NATURAL RESOURCES CONSERVATION SERVICES, More Than 80 Years of Helping People Help the Land: A Brief History of NRCS, https://www.nrcs.usda.gov/wps/portal/nrcs/detail/national/about/history/?cid=nrcs143_021392 (last visited May 9, 2017). NATIONAL RESOURCES CONSERVATION SERVICE, supra note 31. NATIONAL ASSOCIATION OF CONSERVATION DISTRICTS, http://www.nacdnet.org/about-nacd/what-we-do/federal-policy/, (last visited May 9, 2017). Davidson, supra note 24, at 18. NATURAL RESOURCES CONSERVATION SERVICE, Core4 Conservation Practices Training Guide: The Common Sense Approach to Natural Resource Conservation, i, iv (1999) https://www.nrcs.usda.gov/Internet/FSE_DOCUMENTS/nrcs143_025540.pdf. NATIONAL RESOURCE CONSERVATION SERVICE, Highly Erodible Land Conservation Compliance Provisions, https://www.nrcs.usda.gov/wps/portal/nrcs/detail/national/programs/alphabetical/camr/?cid=nrcs143_008440 (last visited May 10, 2017). CALIFORNIA DEPARTMENT OF CONSERVATION, DLRP Helps California Balance Growth with Agricultural Production, http://www.conservation.ca.gov/index/AboutUs/Pages/aboutUs_DLRP.aspx (last visited May 9, 2017). Cal. Pub. Res. Code § 9108. California Agricultural Evaluation and Site Assessment Model: Instruction Manual, 1, 3 (1997), http://www.conservation.ca.gov/dlrp/lesa/Documents/lesamodl.pdf. Cal. Pub. Res. Code § 9063. CALIFORNIA DEPARTMENT OF CONSERVATION, supra note 37. Cal. Pub. Res. Code § 9151; The Resource Conservation District Guidebook: A Guide to District Operations and Management, CDC 1, 5 (1999), http://www.conservation.ca.gov/dlrp/RCD/pubs/RCD_guidebook/Documents/RCD_Guide_vol3.pdf. SAN MATEO RESOURCE CONSERVATION DISTRICT, Authorizing Statute for California Resource Conservation Districts, http://www.sanmateorcd.org/wp-content/uploads/2015/09/AUTHORIZING-STATUTE-FOR-CALIFORNIA-RESOURCE-CONSERVATION-DISTRICTS.pdf, (last visited May 9, 2017). Id; The Resource Conservation Guidebook, supra note 43. CALIFORNIA DEPARTMENT OF CONSERVATION, http://www.conservation.ca.gov/dlrp (last visited May 9, 2017). California Food and Agriculture Code § 560. California Food and Agriculture Code § 566(a). CALIFORNIA DEPARTMENT OF FOOD AND AGRICULTURE, The Office of Environmental Farming, https://www.cdfa.ca.gov/oefi/ (last visited May 9, 2017). CALIFORNIA DEPARTMENT OF FOOD AND AGRICULTURE, Healthy Soils Initiative Fact Sheet, https://www.cdfa.ca.gov/oefi/healthysoils/docs/HealthySoilsFactSheet.pdf (last visited May 9, 2017). See Environmental Farming Act Science Advisory Panel California Department of Food and Agriculture Meeting Agenda PowerPoint (March 16, 2017), https://www.cdfa.ca.gov/oefi/efasap/docs/Binder-EFSAP-Meeting-03162017.pdf [hereinafter EFASA PowerPoint] (including No-till and Reduced-till, Cover crops, Cropland and Grassland Compost Application (Not a separate NRCS Practice), Improved Nutrient Management, Herbaceous Cover and Riparian Herbaceous Cover, Herbaceous Wind Barriers and Vegetative Barriers, Contour Buffer Strips and Riparian Forest Buffers, Field Borders, Filter Strips, Woody Cover, Windbreak/ shelterbelt establishment/renovation, Hedgerow Planting, and Silvopasture as subsidized practices). Id. at green p. 3. CALIFORNIA DEPARTMENT OF FOOD AND AGRICULTURE, Healthy Soils Action Plan, https://www.cdfa.ca.gov/oefi/healthysoils/docs/CA-HealthySoilsActionPlan.pdf (last visited May 9, 2017). J. William Futrell, New Action for Soil Protection A Solid Understanding of the Vital Role of Sustainable Soils Is an Environmental Imperative, 39 ENVTL. L. REP. NEWS & ANALYSIS 10077, 10078–79 (2009). CALIFORNIA DEPARTMENT OF FOOD AND AGRICULTURE, Healthy Soils Initiative, https://www.cdfa.ca.gov/oefi/healthysoils/HSInitiative.html (last visited May 9, 2017). CALIFORNIA DEPARTMENT OF FOOD AND AGRICULTURE, Healthy Soils Incentives Program, https://www.cdfa.ca.gov/oefi/healthysoils/HSInitiative.html (last visited May 9, 2017). Batie, Agricultural History, supra note 26 at 109. D.S. Powlson et al. Soil Carbon Sequestration for Mitigating Climate Change, in HANDBOOK OF CLIMATE CHANGE AND AGROECOSYSTEMS: IMPACTS, ADAPTATION, AND MITIGATION, 400 (Daniel Hillel and Cynthia Rosenzweig, eds., 2011). D.S. Powlson et al, supra note 64. Andy Whitmore et al., Sub-Project A of Delfra Project SP1603: Studies to Support Future Soil Policy, DEPARTMENT FOR ENVIRONMENT, FOOD AND RURAL AFFAIRS RESEARCH PROJECT FINAL REPORT 1, 5 (2010). CALIFORNIA DEPARTMENT OF FOOD AND AGRICULTURE, supra note 52. See CALIFORNIA DEPARTMENT OF FOOD AND AGRICULTURE, supra note 59 (stating that demonstration projects should “increase on-farm carbon sequestration, greenhouse gas reductions, increase water holding capacity and increase crop yields.”) (emphasis added). S.A. Kahn et al, The Myth of Nitrogen Fertilization for Soil Carbon Sequestration, 36 J. ENVIRON. QUAL. 1821, https://dl.sciencesocieties.org/publications/jeq/abstracts/36/6/1821; Daniel Kane, Carbon Sequestration Potential in Agricultural Lands: A Review of Current Science and Available Practices, NATIONAL SUSTAINABLE AGRICULTURE COALITION BREAKTHROUGH STRATEGIES AND SOLUTIONS 1, 10 (2015) http://sustainableagriculture.net/wp-content/uploads/2015/12/Soil_C_review_Kane_Dec_4-final-v4.pdf. NATIONAL RESOURCES CONSERVATION SERVICE, $19 Million Available to California’s Farmers to Improve Air Quality, https://www.nrcs.usda.gov/wps/portal/nrcs/detail/ca/newsroom/releases/?cid=nrcseprd1322668 (last visited May 10, 2017). CALIFORNIA DEPARTMENT OF FOOD AND AGRICULTURE, supra note 59. EFASA PowerPoint, supra note 54. Powlson et. al, supra note 4. Futrell, supra note 17 at 102 (“The U.S. is a world leader in citizen participation in soils programs and other environmental programs could learn from their experience.”). Letter from Karen Buhr of the California Association of Resource Conservation Districts to the Environmental Farming Advisory Panel (February 2017) (on file with the California Department of Food and Agriculture at https://www.cdfa.ca.gov/oefi/healthysoils/docs/HealthySoilsComments-Jan19-Mar1_2017.pdf). Letter from Noah Diech of the Center for Carbon Removal to Amrith Gunasekara of the Environmental Farming Advisory Panel (26 February 2017) (on file with the California Department of Food and Agriculture at https://www.cdfa.ca.gov/oefi/healthysoils/docs/HealthySoilsComments-Jan19-Mar1_2017.pdf). Testimony from Michael H. Shapiro to the Congressional Subcommittee on Environment and Public Works (May 22, 2013) (on file with the EPA at https://www.epa.gov/sites/production/files/2013-09/documents/nutrient_trading_and_water_quality.pdf). CALIFORNIA DEPARTMENT OF WATER RESOURCES, Making Water Conservation a California Way of Life, http://www.water.ca.gov/wateruseefficiency/conservation/docs/Water%20Conservation%20Trailer%20Bill%20Fact%20Sheet%20FINAL.pdf (last visited May 10, 2017). Letter from Ben Chou of the NRDC et al to the California Department of Water Resources and the State Water Resources Control Board (October 14, 2016) (on file with author). Wichelns and Qadir, supra note 16. NATIONAL ASSOCIATION OF CONSERVATION DISTRICTS, supra note 37. Cal. Pub. Res. Code § 9018. J.B. Ruhl, Farms, Their Environmental Harm, and Environmental Law, 27 ECOLOGY L. Q. 263, 335 (2000). Peter M. Lacy, Our Sedimentation Boxes Runneth Over: Public Lands Soil Law as The Missing Link in Holistic Natural Resources Protection, 31 ENVTL. L. 433, 467 (2001). Futrell, supra note 17 at 102. Lacy supra note 97 at 467. Montgomery, supra note 3 at 13268.